Keep in mind, even if T-3 complete renewal is decades away, there are improvements for American in the 10 year plan, ie AA and its international partners will co-inhabit the Global Terminal (structure replacing T-2 + Satellite 1), be able to increase their international flights and the partners will have direct & easy access to AA's domestic flights. I'm wondering if both arrivals and departures will occur in the new structure. There could be a considerable gain in available gates in T-3 if so. Finally, I believe the "APM" in the 10-year plan is a tunnel w. moving sidewalks; the 30-year sees the actual encapsulated people mover - anyone confirm? In any case, in the first phase this "artery" is shown to extend along side of the existing T-3 (see https://oharenoise.org/resources/presen ... -plan/file -page 6), so will be of use to AA before the T-3 revamp. I’m just going off memory here but I think this certainly the most nonstops and probably the most seats. I think your correct about NW back in the 70s and early 80s with a DC10 maybe? That was the only nonstop though until AS started in the late 90s. Interestingly that was AS first flight into ORD. Not SEA or PDX. The most flights I can remember was maybe 7-10 years ago with daily 737 on AS, daily 757 on both AA and UA. Again, this just from memory so hopefully someone can look it up. I wonder if ORD will phase out the Terminal 1, 2, 3, 5 designations once the whole 30 year plan is completed? They would simply go to naming the concourses letters like ATL? The APM "designation" in Phase I is mainly the route for the APM tunnel, separate (and unused) from the parallel pax tunnels (including a separate sterile tunnel to/from Sat 1 to accommodate int'l), utilities tunnels, and baggage tunnels, but all dug at the same time. The specs in the agreement for the APM (itself) state that T3 has to be rebuilt so that the station is in the basement of T3 (probably T3 expanded somewhat, but the station not behind it or anything -- that's a placement error on some of the maps I've seen) with the station ideally open to daylight/terminal above. Does any of that help? I figure they'll honor the letter of the agreement more than something someone put together for a PowerPoint presentation. Big disclaimer: The way the agreement is worded, though, Phase II is supposed to trigger at 101.5 M, but the only signatures are to Phase I. As a result, T1 and T3 reconstructions as well as the APM are just plans right now. +1 Where do I vote? Not necessarily for letters vs numbers -- just renumber the place once everything is built so that no one gets asked where T4 is. Also, referring to T3 and AA's plans: if things go well with their re-focusing (was that a sufficiently non-controversial word?) at ORD, and growth continues, then fine, and they rebuild T3 and get the APM and everybody gets rich. But what if they continue their current, um, cost-sensitive strategy? They'll still get a rather large re-configuration of their operations: not only do they pick up space in the OGT but whatever replaces G is all brand-new. So they end up with new facilities for all int'l and a lot of mainline, and shift RJs over to H/K where they work better anyway. Phase II or no, AA ends up with some new gates and a shift of its center of gravity to the west. (I'm absolutely spitballing here -- I don't have any pics or plans, no inside info.) But then the satellites end up being pretty much all UA long-term (after OGT and T5 complete). Wrapping my head around that is proving to be a bit bigger than I assumed -- I'm sure it'll be easier once we start to see drawings. Please? Sketches? Rough concepts? Cocktail napkins? UA 1477/1280 is clearly a misfile. One will be removed soon. and I'll throw this out there....The first reapportion of gates will take place in April 2021 and then yearly after that. Each preferential carrier will be allotted based on actual activity and turns per gate. If you look at it this way, now's the time to start ramping up flight schedules to maximize an airlines number. You could see UA/AA using T5 for operations itself as long as it doesn't impact common use for departures. The way the ordinance is written, nothing is preventing any carrier from being accommodated on someones preferential gate if the demand exists. It's not T1=UA, T3=AA or T5=Everyone else. It's simply Preferential, Domestic Common Use or International Common use airport wide. Why? Solely based on the close timing. It shows for sale on their site. ...The way the ordinance is written, nothing is preventing any carrier from being accommodated on someones preferential gate if the demand exists. It's not T1=UA, T3=AA or T5=Everyone else. It's simply Preferential, Domestic Common Use or International Common use airport wide. Yikes! Trying to get my head around that. Will be interesting to see how that all plays out. Whoa so you’re saying that AA could and most likely will lose gates to whomever in 2021? How will the gate allocations be determined? I can already see the current non AA tenants of L pushing AA out, less their 5 new gates. I'm not sure, is that right regarding LH? Yes, based on the close timing and that the one that leaves first lands last. It's a misfile. This happens once in a while - airlines misfile flights and put both up for sale. It'll be corrected over the weekend most likely. Not the first time we've seen this, not the last. The 2nd MUC flight is relatively new. There was a net decrease for a while. You're right on all counts, MAH, 1477 is gone; down to two daily UA flights, ORD<>ANC. The 2nd flight only operates 3 times a week I believe. It looks like the new destinations AA is flying to Florida from ORD for spring break will be all Embrear 175s. I wonder what the weight restriction will be for Key West to ORD? Anyone interesting in bidding for the continuing construction of 9C/27C and the rehabilitation 4L/22R? Bid Opening Date:November 20, 2018 11:00 A.M., CST @ Bid and Bond Room, City Hall, 121 N. LaSalle Street, Room 103, Chicago, 60602." AA is adding ORD-SRQ as well. Then again, UA has been busy adding leisure destinations from ORD too. EYW and SUN spring to mind as some of their more recent additions. I'm not sure if BJX is more of a business, leisure or VFR destination but UA starts flying ORD-BJX next month. A few days later, UA starts nonstop service to BRO. That is certainly a new leisure destination from Chicago! I'm sure the thinking behind the strategy is that for AA they have all of their business destinations covered from ORD with the last major upgrade they did being the introduction of Shuttle service on ORD-LGA. Once you have your key business markets locked down, (and on the international front it's clear AA views this as LHR and that's about it), then it makes sense to expand to leisure destinations to expand loyalty in the local market. That appears to be what both AA and UA are doing with equal vigour it's just that UA has started from a bigger base being larger at ORD. So all of AA's moves make sense in terms of building a very large, primarily domestically focused operation at ORD which is clearly where AA believes it optimises ORD's profitabilty along with LHR service and a raft of seasonal services. Everything else is being handed off to Partners of various types. Ah thanks...yep think you're right. Will be curious to see if it stays as at T5 or if that earlier slot moves it to T1. Totally agree. I find it implausible that a new T3 wouldn't have at least one or two piers. Seems like it would be a big waste of space if not. In my opinion, I think something along the likes of a JFK terminal 4 (below) will be more likely. As I said earlier, the 30 year plan has not been funded and it so far away, I have a hard time taking anything in it seriously or literally. Just look at how the original OMP has changed in 15 years. I don't doubt that eventually (whenever that is), T3 will be redone/remodeled/rebuilt or whatever, but I am not holding my breath that it will look like as the 30 year plan depicts, today. that appears to be JFK ! Yes, did you read his post? He said T3 could adapt into something similar to T4 at JFK. While you have a good point, keep in mind the terminal aspect of the OMP were just concepts and never were agreed upon by the airlines. This new plan, while not fully agreed upon by the airlines beyond Phase 1, nonetheless, is a little bit more final (at least according to the lease link Adrum23 left a while back). Certainly things can and will change over the next 20-30 years, but I do believe it is ORD's desire is to go to an ATL style pier concourse layout with entrances on both ends and connected via a tunnel and APM. With ORD being a big connecting operation like it is, that layout is what makes the most sense long term. 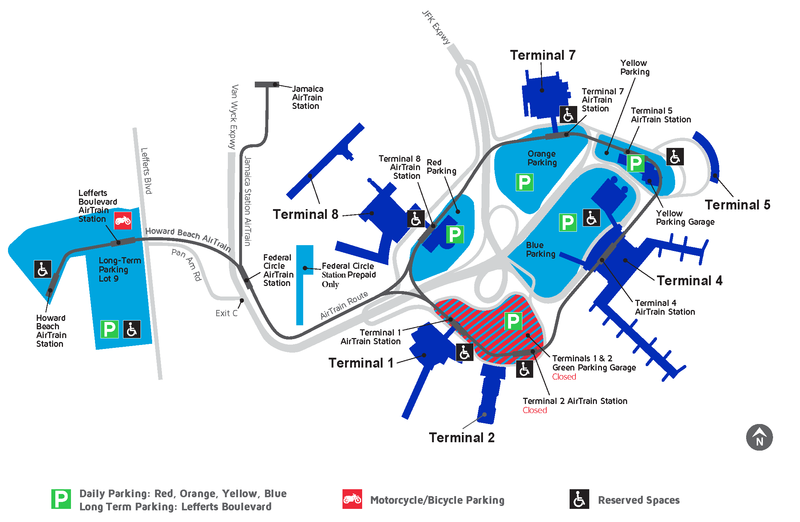 According to the draft Phase 2 plans, the present day G will be redeveloped into an extension of the global terminal, but H, K and L will go and presumably be replaced by Satellite's 3 and 4. I agree there probably could be a second concourse where T3 currently stands in addition to the redeveloped G. Then again, maybe they want that space for RON parking? Of course, we don't know for sure what will happen as planning for the next section won't begin until the 100,000,000 pax threshold is triggered, which honestly, is not terribly far away and is achievable within the next decade (ORD would be close now if UA/AA would upgauge more flying to mainline, but that's another conversation). July traffic data released, with synopsis for ORD by CAPA below. Overall traffic up 7% y-o-y at ORD, and international continues to shine! Cargo seems like its cooling off, but I think this is an indicator for global trade flows at the moment. Midway struggling a little bit with traffic down 0.85% but I think the holidays could see it battle back to even if not slightly ahead. Most interestingly, I think it's looking probable that ORD will overtake ATL on movements this year. I can't believe how much movements are up at ORD, especially with the upgauging. Also interesting is that Intl ops are actually down slightly YOY yet pax numbers are higher YOY. ... had me thinking about the effect the Amazon HQ2 coming to Chicago would have on O'Hare and Midway (even if it is far from a done deal). The site they've been apparently checking out is just south and west of the south loop on the river off of Roosevelt, according to the article. Clearly Midway would be the most convenient to the site, although both Chicago Airports would be impacted to some extent, should Amazon move in. The basic number of employees bantered about is 50,000. Any thoughts if Chicago was chosen? The site they've been apparently checking out is in the south loop on the river off of Roosevelt, according to the article. Personally, I think it would mostly help O'hare, as the majors such as American/United are sure to win a contract with Amazon just based off of their Global route networks. However, that being said.... 50,000 employees is a lot of people, so Midway will more than likely get a portion of the traffic when these employees travel for personal reasons. Although, I would imagine Delta at MDW may also get some people from Amazon traveling for business. Wouldn't surprise me (if the south loop location is indeed chosen) to see Delta start a SEA-MDW flight. I'm kind of surprised though, honestly, that they are not surveying sites out closer to O'hare. Access to a major airport was one of the key requirements and/or wishes they specified. For example, the site they are surveying out by me in Virginia currently, is literally right next to Dulles. There's been a few articles this weekend about the 2nd visit, and it seems like the focus was on the "78" neighborhood/ward South of Roosevelt. Personally, I think that site makes the most sense for them if they choose Chicago. Sure air transportation/proximity to airports is an importation consideration for HQ2, but so is access to employee talent, university students etc. Lincoln Yards on the NW-side would be a commuter's nightmare with that many workers (I believe the alderman and LP residents are pushing to scale back the office component and focus on residential), and that location really kind of limits you to talent on the North-side of the city, whereas the 78 allows them to pull talent from all directions (North, West, South), even if it's not as convenient to getting to O'hare specifically. But it is particularly convenient for MDW. Also, it seems like eventually downtown will get some sort of express train service to ORD, so a quick hop from 78 to downtown would be feasible. I agree with ORDfan's assessment of Lincoln Yards: they are projecting 70-story towers bordering the Kennedy ("oh, we'll respect Lincoln Park by starting low on the east..." and ending up making the Kennedy an even worse scar, but I digress); most of the streets are two-lane with parking. Their solution: a new Clybourn Metra stop! Because, sure, that's like rapid transit. Whether it's the money east or the millennials (and money) west, I think that plan as presented is DOA and Amazon-type density won't be approved. And just who was going to occupy a 70-story building with no downtown around it? Also, I wonder if Amazon re-looked anywhere else and we just didn't hear about it. The thought of them starting off in the Post Office has a symmetry to it that really gets my sentimental side (sorry) and their had been (now-shelved, previous developer) plans for 6 million sq ft adjacent. What if they ran an Airport Express that only stopped selectively, charged more, had WiFi and USB charging and guaranteed single seat and safe place for your luggage, and an attendant (obviously)? Because doing so would make the crowding, stops, kids, millennials (really? ), shopping bags, etc., worse on all the rest of the trains. A train slot that once had an 8-car train carrying 900-1000 people will now be carrying maybe a few dozen or so airport passengers, but still taking up the same track capacity as the local train. When they announced they're giving the express to Elon Musk underground tunnel thing, I immediately had the thought that Amazon could pay for them to build a stop if they wanted. The way that Musk's system is designed is that you could build branches wherever you wanted. A branch could be built off of the main tunnel and go directly to Lincoln Yards. Or it could extend from the downtown terminus to the 78. But it enables that modular capability that allows for infinite opportunities. Also, I don't think having it at Lincoln Yards would preclude people South and West from working there. It's not THAT far north. I think we really just need to do the Circle Line. That would fix so many public transportation issues. Or at least extend the Brown Line from Kimball to Jefferson Park. The problem with Lincoln Yards, is the streets are only 2 lanes (a good thing), there is not a blue/red/brown line stop nearby and it is only served by 2 Metra Lines (UP-N & UP-NW). I think a more downtown location would be better to grab a larger talent pool from all existing CTA and Metra Lines. Now if they ever get around to building the circle line, I think my opinion might change. I would argue there is a brown line stop (and red line tracks) nearby. Armitage is 2000 feet from the site. Not the absolute most convenient but for up to 50K employees, there's a lot of creativity they could have (i.e. track spur to the site, shuttles on designated thruway, underground people mover, etc. I agree with you touting the Metra stop is nonsense. I live across the street from the 78. Once they add the red line stop and the Metra stop, the RI and SWS lines, it would have nice connectivity. They could consider the Clark Orange line stop mentioned in the Circle line proposal. The only downside of the 78 is limited ingress/egress for auto traffic. Direct west access is blocked by the river and Metra maint yard. The east is blocked by Metra trains. Costly to go over or under. From the north you have Wells street. Understood -- I would propose you run it 0900 - 1600 and see if there's a market, that's all. The rush hour overcrowding on that line needs more power and service, not interruptions. The other issue is that there's no practical way to segregate those who have paid the premium fare you propose from those who just paid the $2.50/regular fare, given the lack of extra platform space. Beyond that, your idea is more or less the stillborn "Airport Express" proposal that got as far as a hole in the ground and an empty shell of a station at State & Washington before it was thankfully killed 10 or so years ago. There were all sorts of unresolved operational problems with the idea then, and none of them have gotten any better in the intervening decade. Speaking of the "airport express," I'm curious to see what happens once Rahm leaves office. While I'd love to see the Boring version of the O'hare Express, I'm not sure the next mayor will have the same working relationships/boosterism of the project as Rahm. Not to mention, how much is the next mayor going to focus on the idea, overall? American 42 (ORD>VCE) had a little trouble last night - passenger emergency? Has me wondering what the procedure is when the aircraft is loaded for a trans-Atlantic flight and must return to the origin airport only a few minutes after takeoff - doesn't seem like they had time to jettison fuel. Would it not be overweight for landing? The American Airlines hangar 2 under construction at ORD recently had their new doors hung. Unfortunately they were not secured properly and were blown over last week. No one was hurt, but looks like the doors are a total loss. Big big mistake. Looking at the history from the above link, the aircraft was in flight for 28 minutes by my calculation; surely not enough time to dump fuel. Maybe someone can clarify. Drunken pax. Surprised they were boarded. Took off again, minus some passenger(s), arrived in VCE 3 1/2 hours late. I think that depends more on where the new people choose to live, rather than where the office is located. Most people travelling for business get the whole day off, which means they leave from home to the airport, not the office. If most of them choose to live on the northside, they'll probably fly out of ORD. OTOH, outsiders flying *in* to meet with Amazon (e.g. clients / vendors / employees from Seattle) might prefer a flight into MDW so it's a short taxi ride into the office. I flew in to Chicago Kord Wednesday and returned yesterday. I was amazed by the amount of 787 American had hanging around the gates. I counted 7 at the same time and in a 2 hour span additional 4-5 came in. One curious thing I did notice was that 5 of the 787s had speed tape around the cockpit windows in different places. Is there an issue that American is having? And where are all the 777s? Did not see even one belonging to American.